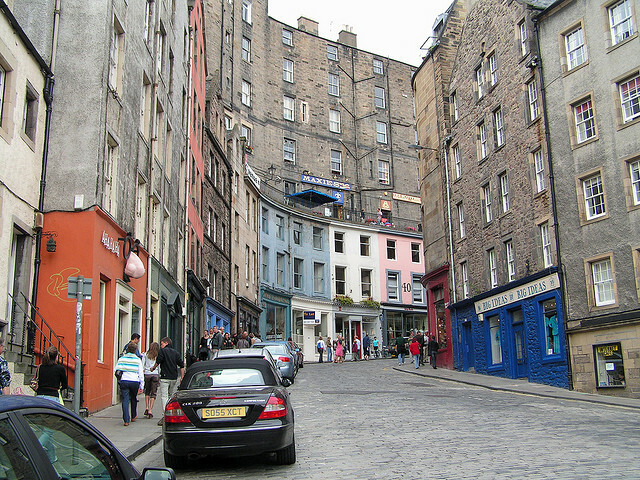 The integration of shops and homes, like the ones seen here in Edinburgh, Scotland, create a high density and multi-functional environment. Photo by John Keogh. Mixed-use developments have been gaining ground as a successful planning design strategy to increase transportation options, revitalize local economies and enliven communities. Although MUDs may soon be universally accepted as the go-to approach for any new neighborhood, there are still obstacles and confusion about implementing them. Architecture and Design Scotland (A+DS) released two publications in the past couple of months to help clarify the basics of mixed-use developments. Both reports present their findings in the forms of “learning points,” where people share what they have learned from experience in regeneration. “They simply reflect what has been debated and what those involved at the event considered useful learning and lessons from their perspectives,” the report explains. Published in April 2011, the first report, “Delivering Mixed Use Development at Neighbourhood & Street Block Scales,” is the outcome of a workshop on mixed-use neighborhoods, involving the work and feedback from a range of practitioners and policymakers. The solutions in the report are derived from the research undertaken by Douglass Wheeler Associates for Scottish Government, “Barriers to Mixed Use,” which identifies a number of challenges to establishing fully functional and successful mixed-use development. the overall place-making result is a higher density, multi-functional environment with vitality and attractiveness. The other four key issues and barriers are placing mixed-use development in poorly connected locations; land ownership becoming a divisive factor in the elements of mixed-use developments; development activity fueled by rising land and property values; and finally, a lack of collaboration in interdisciplinary fields. The second report, “Mixed Use Development in a New Neighbourhood,” a more recent addition to the series of publications, explores the specific issues around delivering a mixed-use neighborhood at Dalmarnock Cross in Glasgow’s East End. (We recently covered Glasgow’s road construction project.) This report serves as a case study, helping future mixed-use developments learn from Damarnock Cross’s experience. One of the six learning points in this report refers to a need for closer integration of land use planning with economic development, to further include public transport connections, public green spaces, access to recreational facitilites and spaces to encourage community vitality. Learn more about A+DS’s work on urbanism here.